Maleficent has many excited, not just because it's a Disney film, but because it gives fans of Sleeping Beauty a glimpse of Maleficent's past and what drove her to become who she was. She wasn't always dark, wasn't always evil. 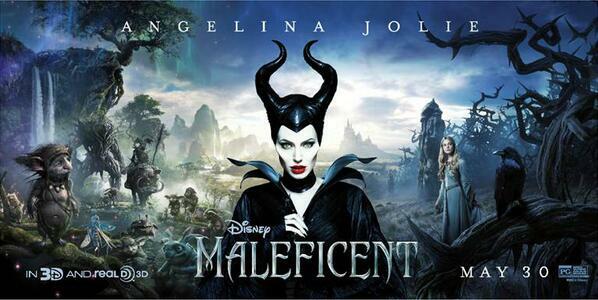 Angelina Jolie (Maleficent) and Elle Fanning (Princess Aurora) are featured in this "Legacy' featurette, giving us glimpses of a story yet to be told. Like they say, we all know the story, but "why" is a question that crosses many of our minds. We may finally find out in this upcoming movie. In other news, some lucky moms at the Disney Social Media Moms Conference were able to catch Elle Fanning at DisneyLand as she shared some footage from Maleficent. She even took pictures in front of Sleeping Beauty’s Castle!